Using a foiled card base, I used the 'sending, Father's Day' from the Hello Sentiments set, and the 'cups and Cheers!' is from the Raise Your Glass set. I stamped these images using Memento Tuxedo Black. I colored the inside using a dab of Encore Metallic Gold pigment ink. Once the ink was cured I used irRESISTible Pico Embellisher to give it a glassy look. I set this aside and let dry, and with that this project was complete. 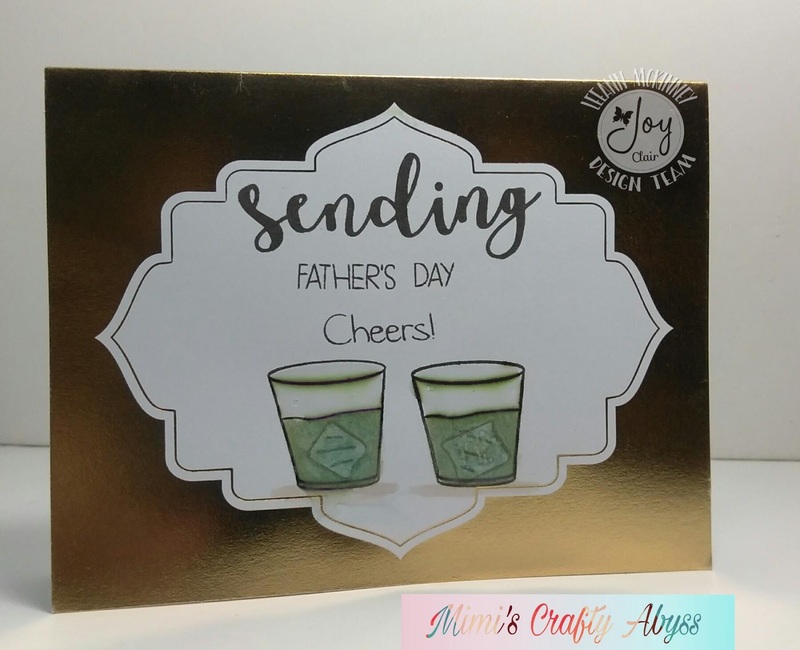 I hope you have enjoyed this project and it has given you inspiration to use this set to make cards for yourself.